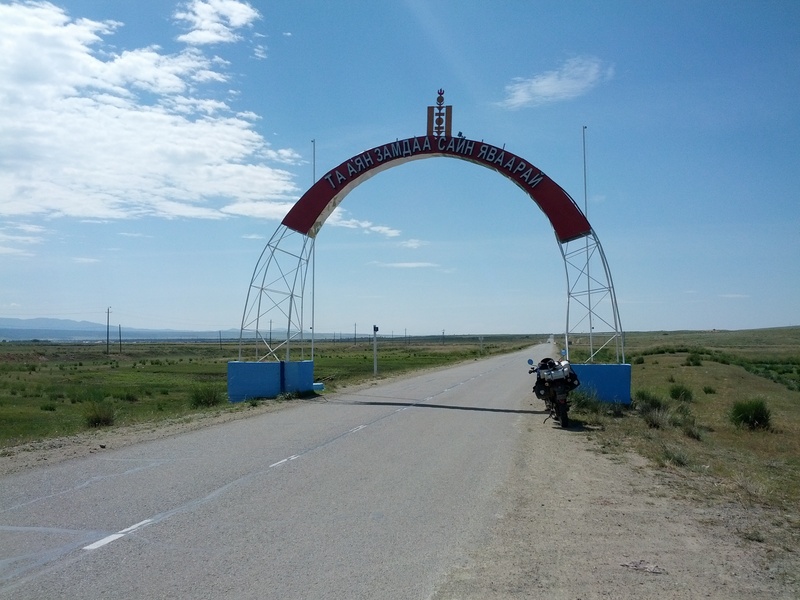 We’ve just crossed the border into Mongolia. It took just under 3 hours and was quite an experience. The Russian side was efficient and the people friendly but in a standoff way, as you’d expect. The Mongolian side was chaos, stern faces all round and not a smile to be seen. The process was fairly simple, take your paper slip to get stamped over there. Then bring it back and I’ll stamp it here. Then take it back over there to get it stamped again. Then bring it back here and I’ll stamp it again. When you have 5 stamps on the right order you can go. But we won’t tell you, you have to figure it out for yourself. When you’re free to go we won’t tell you that either, we’ll just leave you hanging around until you’ve had enough and piss off. When you’re almost out, we’ll close the gate and sell you some insurance. (Not actually a problem, I need it and it’s nice to have. It’s also dirt cheap and probably not worth the paper it’s printed on). Anyway, I’m here in Mongolia! Not somewhere I’d ever envisaged going and I’m quite proud to have made it this far. The Russian mobile network will vanish in the next 100km or so, which means this may be my last blog post for a while. It depends on how much WiFi there is in Mongolia.